In anticipation of the release of Scott Wollschleger's debut album, Soft Aberration, I will be sharing my program notes for each of the works. 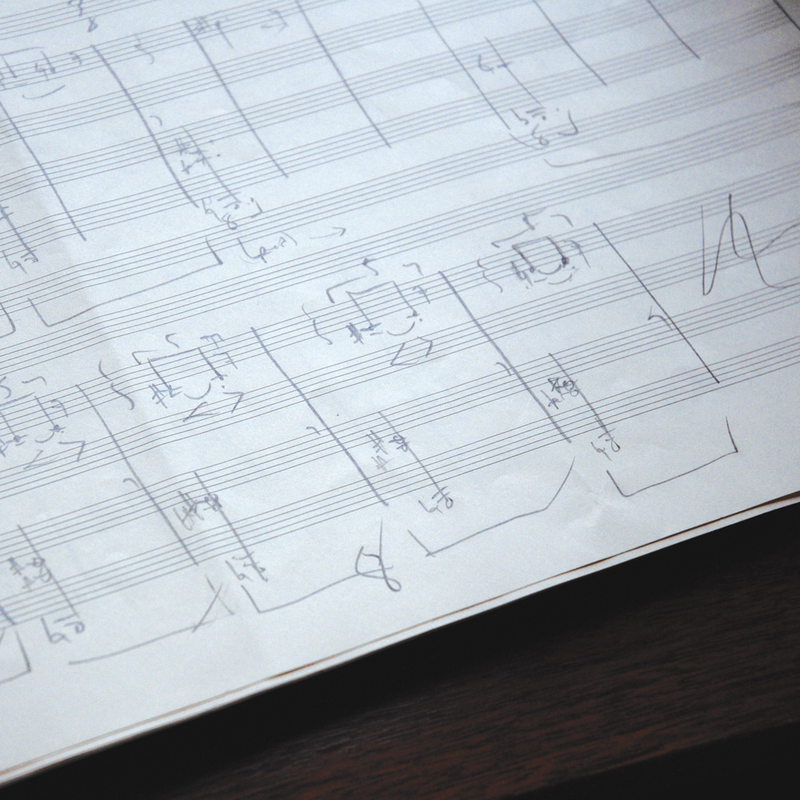 This week's notes are on the title track, Soft Aberration, for viola and piano. It’s very difficult for me to write about this piece because I’m so close to it: Soft Aberration was written for Karl Larson and me. In my interpretation of the piece as a performer, the piano sets out its idea of how things are structured by itself—the entire first section is void of the other instrumentalist. When the viola enters, it is holding onto the memory of a melody that used to be beautiful, now so far beyond even being a melody that it is just shapes of white noise. Perhaps we never actually hear the original, only an idealistic version in harmonics. At the center of the piece, the hearts of the two instruments are exposed, but ultimately this is not a place we can stay. Soft Aberration is a piece about imitation, but rather than sharing identical musical material I imagined each instrument as a damaged reflective surface which projects a kind of “broken echo” between the two instruments. In some sense the piano wants to “see itself” in the viola’s music and the viola wants the same from the piano. The two struggle with this throughout the piece and at various times they find a way to “see” each other. Your part in Soft Aberration is something that’s gone. But also, I thought of it as a mirroring thing where you’re not able to see each other because this is true of life—everyone, no matter how close you are—there’s a part of you that they’ll never know and you’ll never know them. . . . This is the mystery of life in a way, to never fully be able to express yourself to someone. We’re always missing each other a little bit. Soft Aberration is out on New Focus Records October 20th! Read the previous post in this series on "Brontal Symmetry." Read the next post in this series on "Bring Something Incomprehensible into This World." One of my students in the Contemporary Music Ensemble at University of Northern Colorado asked if I could put together a list of works they should listen to because, he said, the "new" music he was used to hearing was not as weird as the new music we are doing in class (so far we've had units on Deep Listening and the Wandelweiser Collective).
. . . I think that’s part of what Dai Fujikura wanted to do by the asking the performer to determine the order of the “elements” and therefore the form in Engraving. By forcing the performers to chose which permutation of the piece to play, he is making them think about how these textures or systems of organization could be put together to create a piece. He asks them not just to learn the notes, or to be able to execute the piece on a “surface level,” but also to take part in the process of thinking deeply about how one thing leads to another. I’ve made all parts available here. With the understanding that any performance of this piece is accompanied by rigorous solicitation of donations for those without homes (locally and globally), and strong support for active & informed conversation with policy makers. Let us open our hands to those of others. (What are these wounds, in my hands, and in yours?) Walls are not the answer. We are all creatures. Scott is a longtime collaborator and dear friend. I'm releasing my program notes for Scott's new album one by one this month. Here is the first one and a live performance by the wonderful trio Longleash. This is the album I brought into class to add to our little studio lending library. Here's a teaser from ECM (and some of you may notice Tyshawn on drums! ).